Now Wireless offers on-site and remote installation support services for an additional fee. This section contains slideshow excerpts from training presentations. 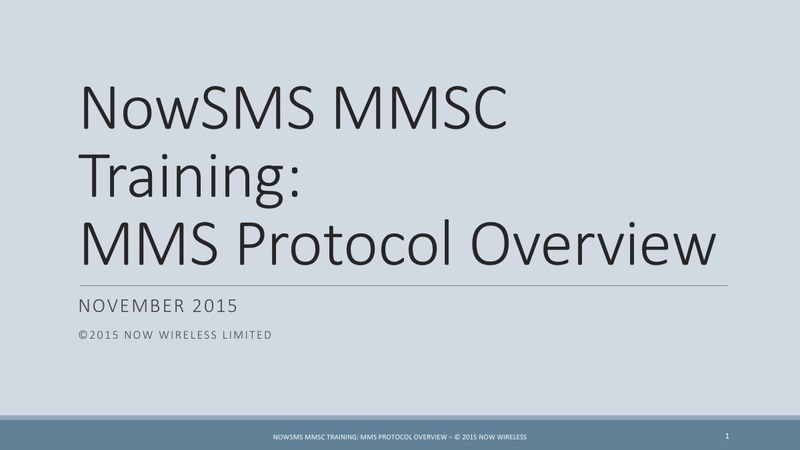 MMSC Training: MMS Protocol Overview – This presentation provides an overview of the various MMS protocols, as they relate to NowSMS MMSC: MM1, MM2, MM3, MM4, MM5, MM6, MM7, MM8, MM9, MM10, MM11, etc. 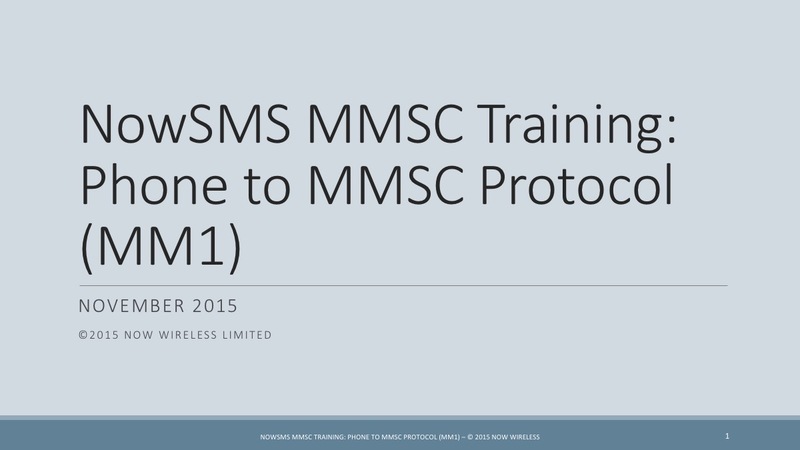 MMSC Training: Phone To MMSC Protocol (MM1) – MM1 is the over the air protocol used by a mobile phone to communicate with an MMSC. This presentation explores the MM1 protocol and MM1 deployment issues for an operator MMSC. 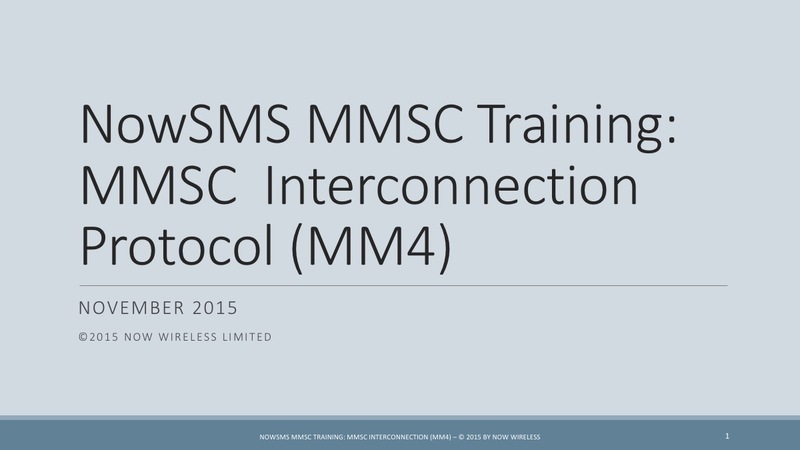 MMSC Training: MMSC Interconnection Protocol (MM4) – MM4 is an SMTP based protocol used to interconnect operator MMSCs. This presentation explores the MM4 protocol and MM4 deployment issues for an operator MMSC.